SCROLL DESIGN BORDER WELCOME MAT by Summerfield Terrace home decor, jewelry, decor, decorations, electronics, fountains, floor mats, art glass, vases, garden essentials, fireplace screens. This sturdy welcome mat features a delicate design that will wow your guests before they step foot inside your home. 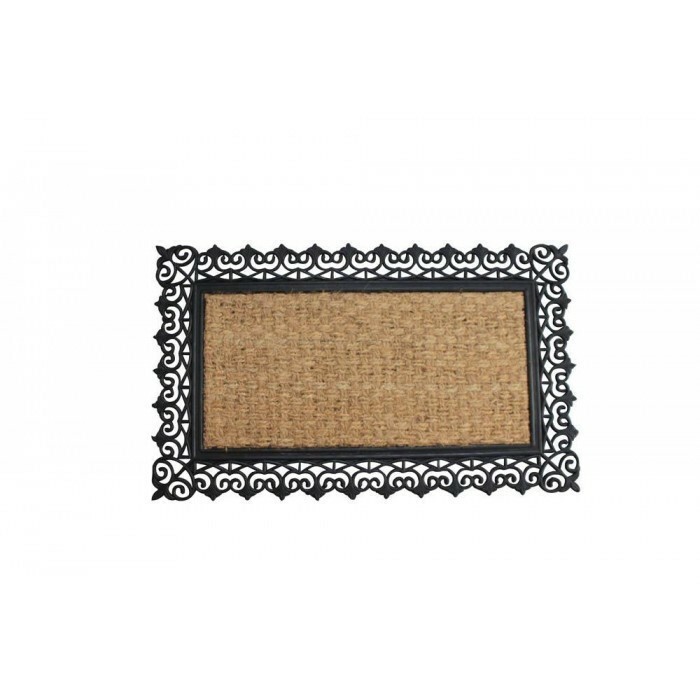 It's made from woven coir fibers that trap dirt and debris, and the lacy scroll design of the black rubber border is simply lovely. Material(s): RUBBER COIR. Weight 3.3 pounds. Dimensions 30" x 18" x 0.875".